Width (side to side) 48"
Depth (front to back) 48"
This counter table is just what your kitchen or breakfast nook needs. Four legs, cross base, and center shelf create a stunning pedestal support for this pub table. Store silverware and plates for easy access on the shelf, or use a sculpture to bring a pop of color to your dining space. 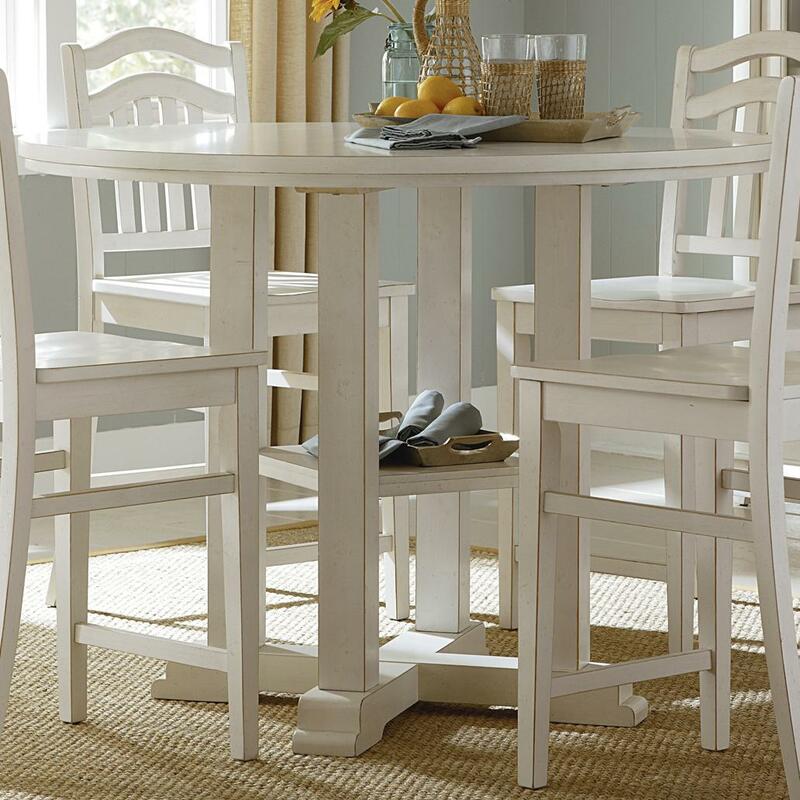 The round table top features a simple edge to accompany the straight lines and clean look of the pedestal. 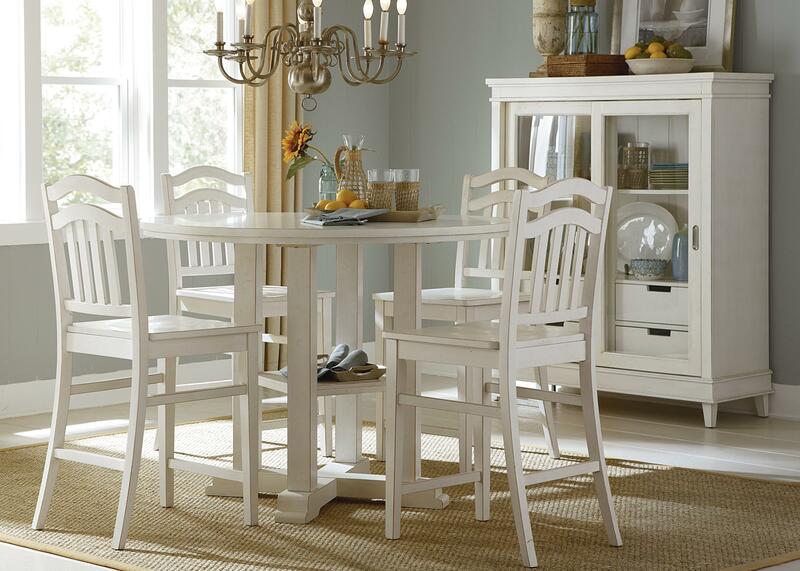 Create a fresh look for your dining space with the cottage appeal and clean lines of this counter table.